Fill out the form below to receive your copy in the mail. 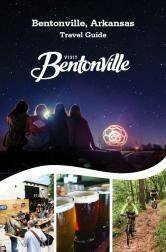 We will send out your Visitor Guide shortly. I understand that by selecting yes below, I am opting in to receive emails from Visit Bentonville.